POLAND Vending Machine Companies! Poland Vending Machine Companies offering; Candy, Combo, Snack, Soda, Drinks, Food, Deli, Healthy vending machines, Micro Markets, Amusement Games and repair services & more! Please contact the polish vending suppliers direct for more information about their vending products, machines or services. AMARO – Snack Machines, Gumball Machines and toy vending machines for sale. Contact Grzegorz Fornalczyk. Szczecin, Poland. Dawpol is an experienced manufacturer of amusement power machines having office in Zory, Poland. Our main products include various power amusement devices, such as BOXER, HAMMER and KICKER. We also have a wide range of large KIDDIE RIDES and CARROUSELS, and many others. Contact Arkadiusz Rudnicki. AutomatSpec. This is vending operator in Poland. We have a few thousand of vending machines in Poland (coffee, drinks, snacks and bars). Rafago – Nescafe vending machines. Automaty zywnosciowe. Vemat.pl – Vending machine equipment systems in Poland. 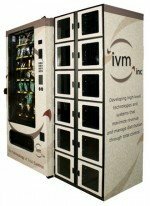 The Vending Business Forum has the character of a specialist B2B conference and is intended for professionals operating on the market of vending machines, the broadly understood vending market. The conference’s participants include representatives of vending machine chain operators and firms supplying products. Warsawa, Poland.